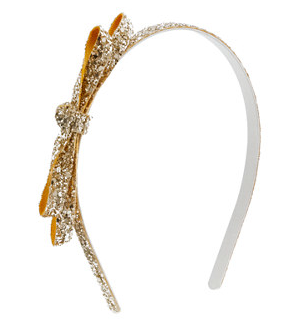 Headbands can make any outfit look so much more put together, with such little effort. 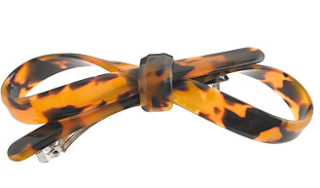 They can add a pop of color, or a touch of sparkle, that can make a huge difference in an outfit. Headbands can sometimes be pricey, but have no fear, my latest discovery will allow you to keep buying headbands while saving some money! 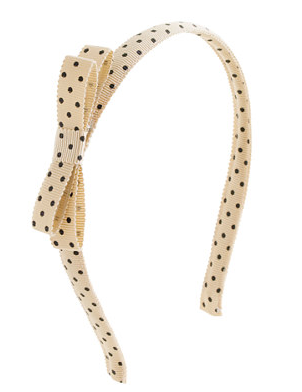 Some of my favorite headbands over the years have come from J.Crew. But, recently, I haven't really been loving any of the latest styles. Never the less, I still end up buying one or two from time to time. At my local J.Crew they had some crewcuts (J.Crew Kids) headbands mixed in with the Women's. 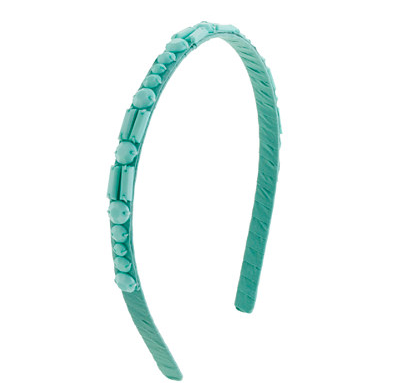 One day, I fell in love with one of the headbands, and little did I know, it was from crewcuts! I thought it was weird that I actually liked a headband that was made for children, and that a headband made for children actually fit me! I ended up buying the headband (The one with the gold bow later pictured) and have had no troubles with it! So what are some of the benefits from looking at/ purchasing crew cuts headbands? 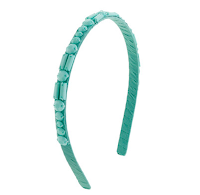 The crewcut headbands are usually a little bit cheaper that they would be from the normal J.Crew headbands! The women's headbands typically are priced somewhere between $15-$20 dollars, sometimes even more. Of course most headbands eventually go on sale, but the original price is somewhere near there. Crewcut headbands go from anywhere between $10-$16! Those headbands sometimes go on sale also! There's more options! Sometimes I feel like the women's headbands can be a little drab! The crewcut headbands are more fun (considering they are for children) so it's nice to be able to chose between something fun or a little more serious. 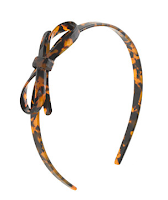 Now, I wouldn't say that every headband sold in the crewcuts line would be appropriate for someone over the age of 10 (for example the ones with huge flowers), but some of the more simple headbands could definitely pass as something from the women's headband line! I know what you're all thinking, aren't the crewcut headbands so much smaller than the normal ones? My answer for you is, surprisingly, no! I checked one of the crewcut headbands (white) against a j.crew headband (red), (pictured below), and the difference is almost non existent! Also, I noticed while comparing my gold headband with the red one, that the gold one (crewcuts) was actually bigger than the red one! After wearing a headband a couple times it well stretch out which is definitely what happened with my gold headband! Overall, I feel like buying headbands from crewcuts is a great way to save a few extra books while still looking cute! They are practically the same, and sometimes come in cuter styles, so why not save a bit of cash? Below i've linked some of my favorites from the crewcuts line! I also really like this cute hair clip!